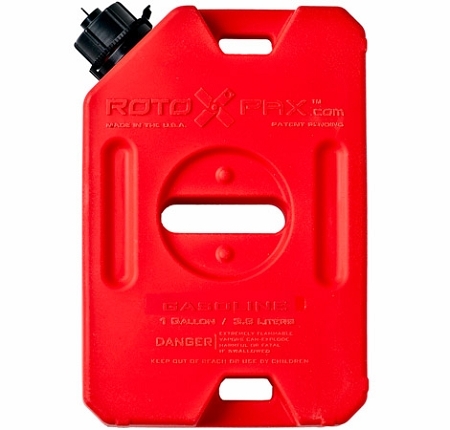 RotopaX are the ONLY certified EPA fuel packs made in America. Our patented 3 layer rotational molding process eliminates all fuel permeation, so your packs won't leak a drop. Roto-molded gas can that is durable with thicker walls and stronger construction make it leak-proof along with a sure seal gasket to guarantee your spout wont leak or vibrate loose. Rotopax are the only EPA and CARB compliant containers available for sale in the United States. This is thanks to a patented three layer Roto-Molding process, along with specialty formulated plastic barrier material to meet the governments new extremely low permeability requirements.